Communicating with spirits is as ancient as the notion of death itself. When someone dies, those who are left behind look for closure, and/or a hidden message. Especially if their loved one died unexpectedly, and they didn’t have time to say goodbye. It’s always then when we realize that there were so many things we wanted to say, but couldn’t. Sometimes we accept the popular, assumedly comforting thoughts that they are in a better place now. They don’t feel pain any more, they are at peace, etc. But that isn’t always the case. So, what happens when we can’t let go? It might be possible to still get those messages across. From both ‘our’ side, and the ‘Other Side’, as people like to call it nowadays. Halloween is said to be one of those nights, when exactly at midnight, the veil becomes thinner. Some witches believe that every single midnight is special in this way. This is one of the reasons why seances are certainly mostly performed during night. As one day progresses to become another, the same way the transition begins. The person performing the ritual then becomes the connection between the two worlds. As a Psychic and Empath, do I believe in spirits, and them communicating with us? I certainly do. Messages come our way in many forms, especially when we are tuned in to them. I always say that if we listen carefully, we can hear them. Don’t think about all the theatrical ways you see on the TV though. These spirit communications can be anything from a cold breeze in a warm room, or a feeling that someone is watching over you. And yet, it can be something more complex than that. Sometimes, spirits do have specific messages they need to get across. A big secret they were willing to take to the grave, never thinking that life would catch up with them so early on. We always want to believe that we still have time, don’t we? The spirits who haven’t moved on yet, aren’t necessarily harmful. They are here to guide us, to watch over us from afar (and sometimes not from that far). However, they can cause real problems, but I’m going to write about that in two weeks’ time in our Haunting-Haunted Objects Episode. So, yes, spirit communication is real, and very much a still existing practice. Although my personal advice would be to look for a professional to help you hear and also understand that message. 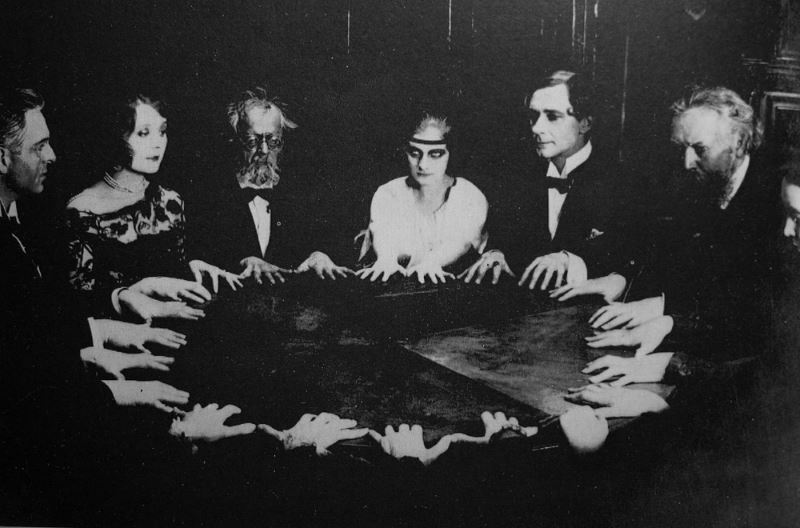 Ouija boards and seances can become dangerous in the ‘wrong’ hands. What do you mean by the wrong hands when it comes to ouija board. Can you please explain farther what you mean? Thanks.